Amongst more than 250 entries received, the judges will select 30 photographs which stand out for their creativity and their technical quality and out of these the committee of experts will select five winners. The jury is formed of Belén Paya, a prestigious illustrator, recently selected for the Annual Graphic Design Award 2012 for her catalogue ´Fashion Forms´as one of the ten best catalogues edited in Spain 2011. Inma Juan, a photographer specializing in social reports, industrial and architectural photography. Enrique Carrazoni, a reference on the world of architecture and landscape photography; he has worked with architects such as Norman Foster, Santiago Calatrava, J.M.Tomas and Aqua Gallery. 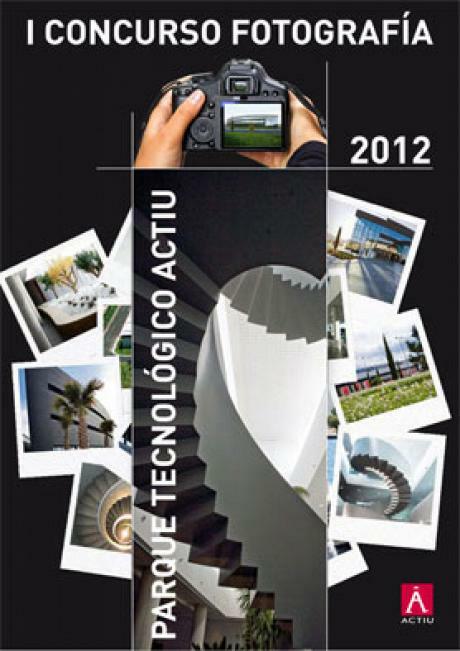 José Maria Tomás Llavador, International projects architect such as The Master Plan for the City of the Arts and Sciences in Valencia, The waterfront in Spezia, Italy, The exhibition cenre IFA in Alicante....and author of Actiu Technological Park. Marcelo Martínez, photographer and author of numerous works regarding work spaces and collective spaces. Actiu conveys its committment to the promotion of design, architecture and art, choosing this time the vehicle of photography. From 26 May until 8 June, more than one hundred artists have visited the facilities at Actiu International Park, capturing every corner from their own point of view; work environment, architecture, gardens and nature, sustainability...; a response to hundreds of applications received from amateurs and professionals from the world of photography, interested in photographing the facilities at the Technological Park, recognised as the first european industry certified by LEED Gold by the U.S. American Green Building Council, which certifies this building as sustainable and self-sufficient in resources. The result: One hundred Authors, one hundred points of view of Actiu Technological Park which can be viewed at the exhibition which opens next Thursday 19, from six in the afternoon and in which the guests as well as the participants of the competition act as means of communication.